Doing Business for nearly 60 Years !! VERY Competitive Wages and Benefits!! Average Employee Tenure Over 20 Years! Various STRUCTURAL STEEL shapes in stock. 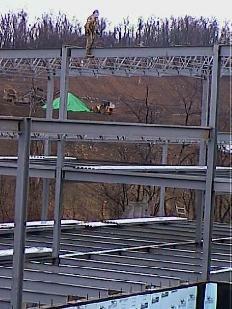 Quality STRUCTURAL STEEL FABRICATION provided! Since the mid 1960's Forrest steel Corporation has grown in many ways. The original location was on Forest Avenue in Homestead PA (FORREST ORNAMENTAL IRON COMPANY est. 1957). The demand for a quality structural steel and miscellaneous metals fabricator inspired the move to our current location on Baldwin Road in Baldwin Borough. 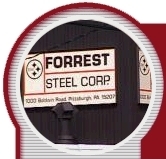 Since we incorporated in 1966, the growth of Forrest Steel Corporation has enabled us to become a very diversified structural steel and miscellaneous metals fabricator. From beams, stanchion posts, lintels, railings, stairs, miscellaneous metals and structural steel fabrication, we ventured into the commercial side of our industry as well. Putting our customers first and providing a quality product on time produced some great relationships with a wide variety of contractors in the United States. We found the best way to advertise was to give our customers the best structural steel product as fast as possible for a competitive price. Many customers came back and told us the reliabilty and quality was the main reason for the next order. If you have ever had a project with structural steel fabrication you know you realize how critical each step is. The design drawings must be transferred to reliable and finalized structural steel fabrication shop drawings. Without attention to the fine details, the risk of problems multiplies. They all agree the dollars they occasionally saved were not worth the headaches. If you have any questions regarding structural steel products, miscellaneous metals or structural steel fabrication please call our sales staff today. FORREST STEEL CORPORATION is currently accepting applications for all positions in sales, estimating, welders, CDL licensced drivers, and laborers. FORREST STEEL CORPORATION offers very competitive wages and benefits. FORREST STEEL CORPORATION has been blessed with great employees who have an average tenure of over 20 years! Come be part of the next generation! give us a call and let Forrest Steel Corporation make your job a lot easier. Take a look around the site and get to know us a little better. 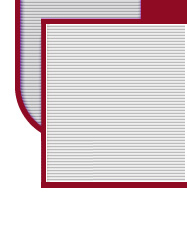 Most of the pictures can be enlarged by clicking on them.